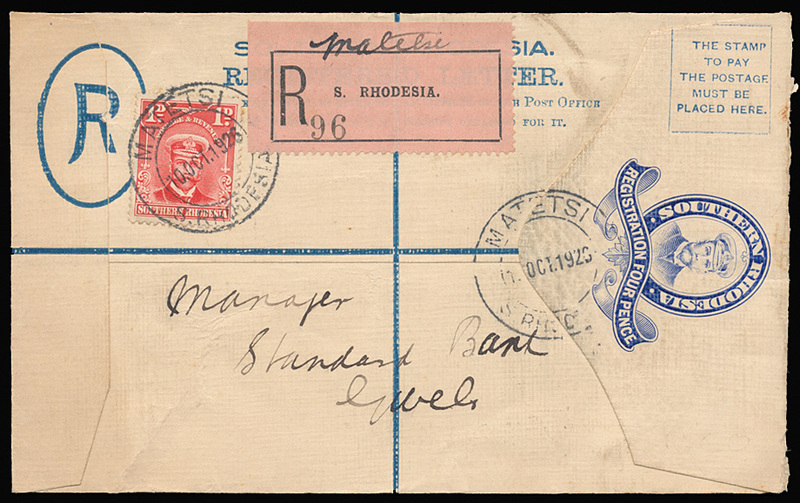 1926 10th October, KGV 4d registered envelope bearing Admiral 1d (SG 2), crisply cancelled 'MATETSI / S. RHODESIA', another at right. Pink plain label endorsed in ink 'Matetsi'. Addressed to Gwelo with arrival backstamp. A RARE office.